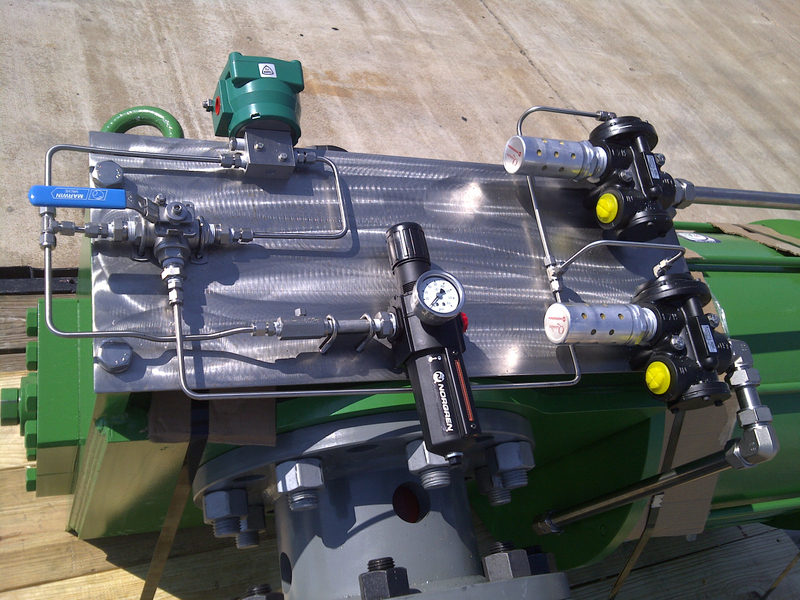 Flow Solutions Inc. offers complete valve automation services. We offer leading manufacturers of pneumatic, electro-hydraulic and electric motor actuators. In addition, we offer a complete range of actuator and control valve accessories. Our shop is experienced in all aspects of valve automation, including proper sizing, installation, maintenance and repair. We can provide robust mounting hardware for a variety of valve and actuator combinations. Repair / rebuild of pneumatic and electro-hydraulic actuators. Quarter turn and linear valve automation for both on / off isolation and control applications. In house design and manufacture of bracketry and couplings. On site service capability including travel stop adjustment; positioner, limit switch, solenoid installation and calibration, manual operator installation.